Trayveon Williams flipped into the end zone on a 10-yard run in overtime to give the Texas A&M a 20-14 victory over No. 13 Kentucky on Saturday night. 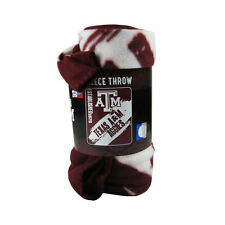 New NCAA Texas A&M Aggies Tar Heels Large Soft Fleece Throw Blanket 50" X 60"